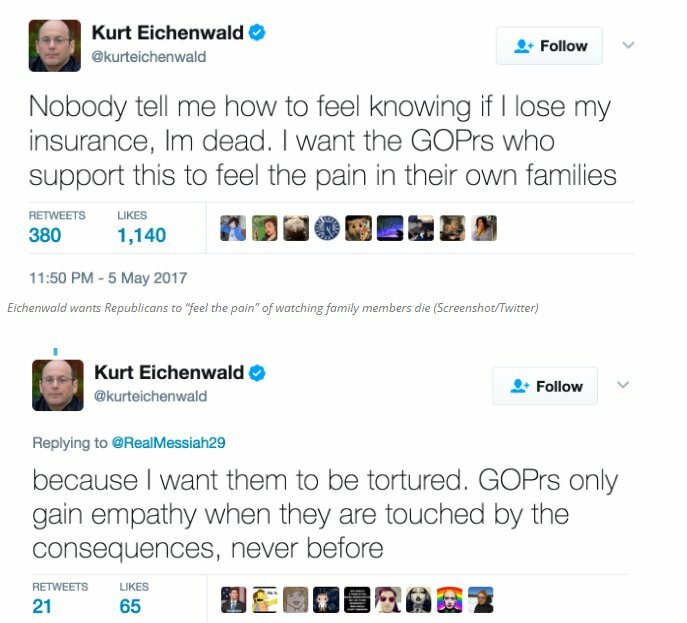 Kurt Eichenwald, a “senior writer” at Newsweek, made a name for himself as “the victim” of cyber-bullying when he sued a Twitter user for posting a flashing gif in a tweet. 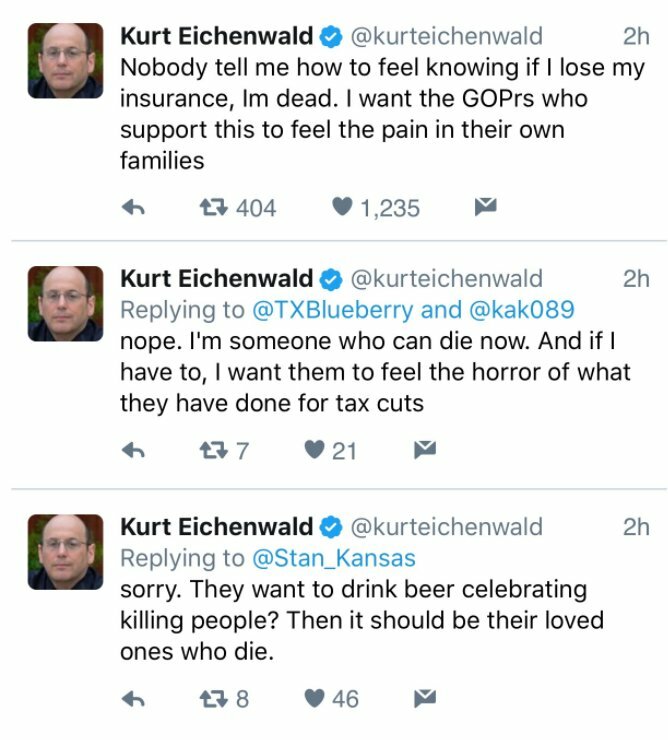 Just yesterday, Eichenwald wished (via Twitter) that Republicans who voted for the AHCA see family members DIE from a serious illness after losing their health insurance. 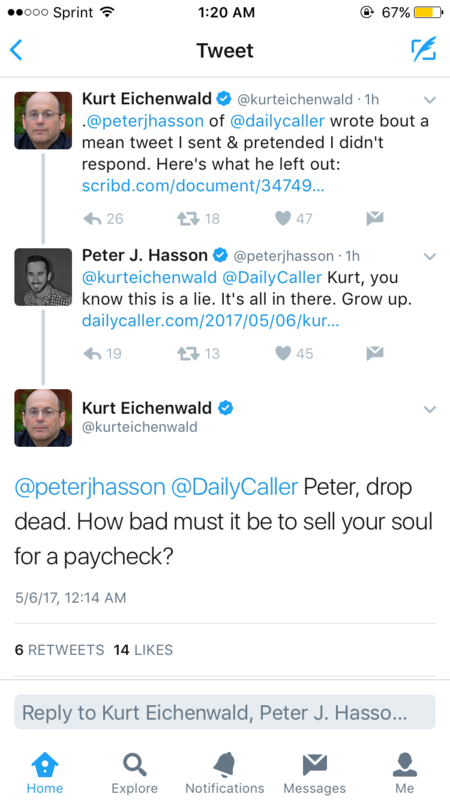 Eichenwald then went on another attack, this time against journalist Peter J. Hasson of the Daily Caller, you can read the exchange below. 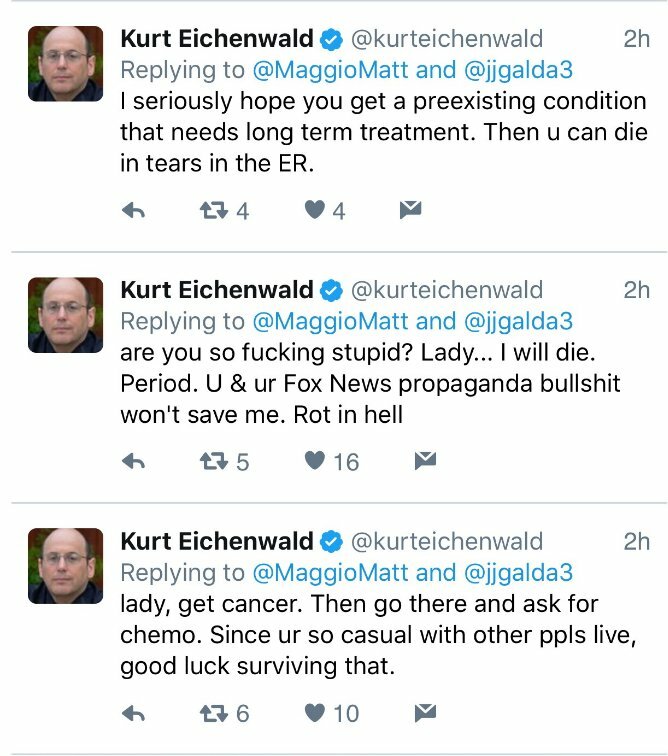 Since he deleted his tweets, we have screenshots of his vile rhetoric. The Daily Caller also documented his unhinged tweet storm which you can read here. 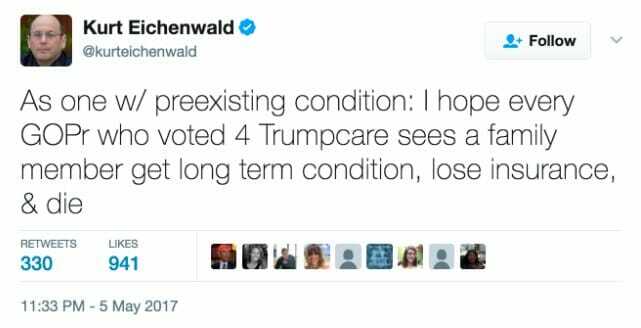 Eichenwald also got a man arrested earlier this year on a bogus charge of “cyberstalking”, and on top of this, he advocates heavily for the repeal of the Second Amendment. Class act.